Adam Branch (University of Cambridge), Branwen Gruffydd Jones (Cardiff), Maria Paula Meneses (Coimbra), Elísio Macamo (tbc) (Basel). This roundtable revolves around questions of how to address, challenge, and possibly overcome Eurocentrism in African studies, and of how to engage with the broader range of legacies of empire for how knowledge is produced about Africa in Europe today. Legacy, for Herwitz (2015, 42), is 'the ongoing practice of something from the past, a direct inheritance that is still operative'. This roundtable asks what the legacies of empire might be for the ways knowledge is made about Africa in Europe today. We assume that empire's legacies for the ways people think and get to know are not limited to former colonies: decolonisation 'is not just for the colonised but also for … the coloniser' (Kros and Wilkins 2017, 5). But a challenge for addressing those legacies, in Europe, lies in Eurocentrism - arguably one of empire's most persistent legacies. And yet this paradigm, which 'uncritically establishes the idea of European and Western progress/achievement and its … superiority' (Maeso and Araújo 2015, 1) calls for scrutiny as Europe is 'no longer the center of gravity of the world' (Mbembe 2017, 1). The roundtable interrogates how Eurocentrism in African studies can be addressed, challenged, and overcome. What approaches, if any, are available for analysing Africa 'on its own terms'? How can ideas of expertise and patterns of collaboration between Africa and the Global North be re-thought, in view of persistently asymmetric power structures? 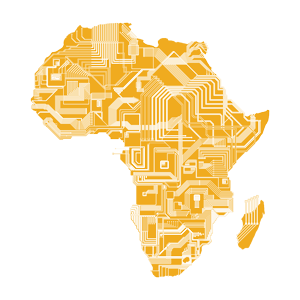 How can more critical ways of knowing African societies be communicated? What does this imply for questions of the universal (Diagne 2013)?